Q1. Why should I use a Mortgage Broker/Credit Adviser rather than going straight to a bank? Choice is the biggest advantage of using a broker to source the best loan for you. Brokers are not tied to the products of any lender. It’s like going to loan supermarket with 30+ lenders and hundreds of loans on display instead of going to little shop with one shelf displayingthe small range of products offered by a single brand and offered on a take it or leave it basis. Convenience is about helping you by making the process easy, quick and stress free. Oz Lend takes care of all the paperwork for you. Control is about you being in control of the process. Our process is entirely clear, we do the work and present you with the best available options for you to make the final decision. Independent Advice Mortgage Brokers are dealing with many lending intuitions and know their credit policies back to front. They will compare different lenders and loans, advising you on the one with the loan option best matching your needs and current situation. Mortgage Brokers will explain and advise on different loan structures and features which may save your thousands of dollars. Q2. Is Oz Lend an experienced provider of Mortgage Broking Services? Yes, Oz Lend has been providing Mortgage Broking services for more than 15 years. Q3. Does Oz Lend hold all relevant Licences and Memberships? Oz Lend are authorised Credit Representatives of BLSSA Pty Ltd ACN 117 651 760 (“BLSSA”) who hold Australian Credit Licence Number: 391237. Oz Lend are the holders of Credit Representative Number: 487567. Oz Lend are also a member of the Mortgage Finance Association Australia (MFAA) and operate under the auspices of the Credit Investment Ombudsman. Q4. Do you charge a brokerage fee for getting my finance approved? Generally, our service is provided to you at no cost to yourself. Sometimes we may need to charge you a fee if the degree of difficulty in obtaining a loan for you is high and much work will be involved. In these circumstances, if your loan is approved, we will rebate the fee to you after the property settlement. You will be advised in advance if any fee will be charged in respect of Oz Lend acting as your broker. Q5. Do you offer a range of different lenders? We offer a range of Australian lenders such as Banks, Credit Unions, Building Societies and Mortgage Managers. Q6. What cost will I incur when taking out a home loan? Lenders Mortgage Insurance – applicable if you borrow over 80% of the purchase price. Q7. How much of a deposit do I really need to obtain a loan? Generally, a deposit of 20% of the value of the property will save you from incurring additional fees such as Lender’s Mortgage Insurance. 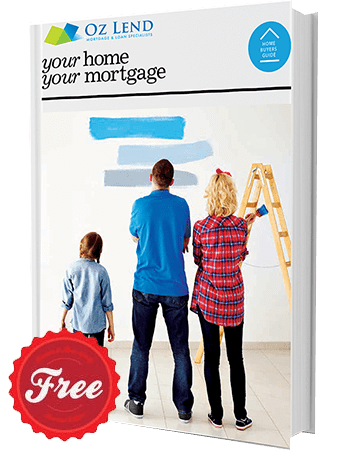 Some lenders will let you borrow up to 95% of the purchase price and then let you borrow the cost of the Lender’s Mortgage Insurance on top of that for up to 99.9%. Alternatively, if you don’t have a deposit, you can borrow up to 100% of the property’s purchase price using a Family Pledge/Guarantee. This loan allows family member to offer their property as security for you to purchase your property. It may include Stamp Duty as well. Most of the time Lender will require all Guarantors to obtain independent legal advice. Q8. What impact will my credit card limits have on my borrowing capacity? Higher Credit card limits will lower your borrowing capacity. Lenders will calculate 3% of the TOTAL LIMIT and consider it as your monthly expenses even if your account balance is zero. Q9. What information do I need to provide you to obtain my finance? Prior to our first meeting we will email you list of documents required for your situation. At a minimum, lenders generally require the following information and documentary proof. Q10. How do you decide which loan is best suited to my personal situation? We conduct a preliminary assessment based on the information you provided and your requirements. We compare different loans from many lenders and select the right one to achieve the best outcome for you. Q11. What features are important in a new loan? Depending on your circumstances features such as Online Banking, Debit Cards, Redraw Facilities, Offset Accounts may be beneficial to have included in your loan arrangements. Oz Lend will advise which of the available options should be considered when taking out your loan and which features are unnecessary. Q12. What are the procedures that I need to follow to obtain my finance and settle my loan? Stage 1– Appointment with your Credit Adviser. You will be prompted on the documents you need to have on hand at the appointment. You will be provided with a Credit Guide and our Privacy Statement. Usually this appointment will take around one hour. Stage 2– Where all documents required have been provided to your Credit Adviser a Preliminary Assessment will be conducted on the spot and your Credit Adviser will present you with the results inclusive of loan comparisons and recommendations as well as a Product Disclosure Statement and Our Quote (if any fees are going to apply for our services). You will be required to sign the Preliminary Assessment and Quote if you are happy with the recommendations made by your Credit Advisor. Stage 3 –Your Credit Adviser will finalise the lender’s application form and email to you to check if all information is correct. You will need to sign in appropriate places and email back to Credit Adviser or arrange pick up or postage with Credit Adviser. Stage 4– Credit Adviser will lodge application online and upload required supporting documents. Once application accepted by the lender, you will receive call or SMS or email.Upfront property valuation is optional. Valuation usually takes 2-3 days. Stage 5– Credit assessment by the lender. If Credit Assessor is satisfied with information and documents you have provided, and you met their criteria, then you can be granted Formal Approval (if valuation report received and is satisfactory to the lender). If more information required by the loan assessor, then Conditional Approval may be issued. In both outcomes, you will receive phone call and email from Credit Adviser explaining the current status of your application and conditions to be met prior to Formal Approval. Once Credit assessor receives all previously requested information and the lender is satisfied with everything, then Formal Approval is issued. Lender’s legal team get instructed. Mortgage Documents produced and posted to you. It takes 2-4 business days. Some Lenders will email documents to us. We’ll arrange appointment with you to explain terms and conditions in the documents and help you to execute them. Executed documents are posted to the lender. Stage7– Lender receives executed documents and checks them. If they are satisfied with all documents, they commence the settlement booking process. Stage 8– Settlement booked. You will receive call and email from your Credit Adviser. Stage 9– Settlement. Once settlement is confirmed to have taken place, your Credit Adviser will email and call you to congratulate on the settlement and thank you for your business. Stage 10 – Post Settlement. Any refunds due in respect to any brokerage fee paid in advance will be made to you. Q13. How long will it take for you to obtain the appropriate finance for my needs? It may take from 2 days up to 4 weeks for Formal Approval, depending on the lender’s service level at the time of submission and the quality and totality of the information you provided to our Credit Adviser. Q14. What is a comparison rate? Q15. Can you explain to me what Lenders Mortgage Insurance is for? Lender’s Mortgage Insurance, as the name states, protects the Lender, not you as the borrower. With Lenders Mortgage Insurance you can borrow from 80% to 99% (including insurance premium) of lender’s property valuation figure. Lender’s Mortgage Insurance (LMI) is a once only fee that normally applies to loans where the customer is borrowing more than 80% of the purchase price. LMI is scaled depending on the percentage you need to borrow (between 80 – 100%) and the amount of the loan (ie; $650,000). LMI can start from $800 and range up to nearly 4% of the full loan amount. You have two options in respect to paying this fee. Some lenders allow you to capitalise the cost of your LMI, meaning that they will add this figure to your loan amount. For example, if you are borrowing $650,000, your LMI may work out to be $7000. You would increase your loan amount to now borrow $657,000 ($650,000 + $7,000). Q16. If I have a default on my Credit Report will this impact on my ability to obtain a loan? Depending on the severity of your impairment, you can still get a loan, however your choice of lenders may be limited. If you have paid up previous default under $500, some lenders may disregard this default when lending up to 80%of the property value. There are few Specialty lenders and they will lend you money regardless of small defaults, however they may price your loan to risk, applying a higher interest rate and a Risk fee. Q17. If I choose to take out a fixed interest rate, can I choose to lock my fixed interest rate in prior to settlement? Yes,you can fix your interest rate between Formal Approval and settlement; however, your application will be re-assessed, and a new Formal Approval issued. Mortgage Documents must be re-issued. This action may jeopardise your settlement. You can pay a lock fee to lock in a fixed interest rate in prior to the settlement date. Generally,the fee to lock is 0.15% of the loan amount, and the lock-in applies for 60-90 days. Some lenders have a flat Rate Lock Fee. Q18. Can I choose to fix my interest rate in at a later stage after settlement? You can fix at later stage; however, you may miss out on the lower rate, if fixed rates rise before you decide. Q19. If I choose to take out a fixed interest rate, can I choose to lock my fixed interest rate in prior to settlement? It is a wise decision to lock fixed rate at application stage (Formal approval only) for 60-90 days by paying Rate Lock Fee. There are two Rate Lock Fee structures. Flat Fee $395 + depending on the lender or percentage of the Fixed loan amount. Generally, it’s 0.15%. Sometimes lenders have promotions for free rate locks. Q20. I’m self-employed and can’t prove my income, can you help? There are several ways to proof your income from self-employment. Provide 3-6 months business trading bank statements. Income self-declaration and Accountant’s Letter/Declaration confirming declared income. If you can provide at least one the above forms of evidence of earnings, our Credit Adviser can help you.